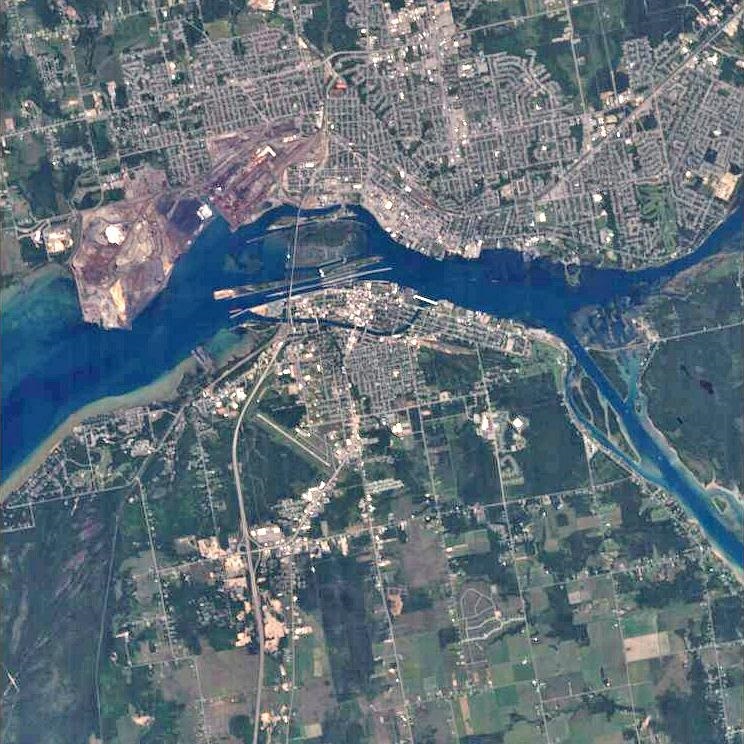 Image featuring the sister cities of Sault Sainte Marie, Ontario, and Sault Sainte Marie, Michigan. ESA’s Proba satellite acquired this image on 11 August 2006 with its Compact High Resolution Imaging Spectrometer (CHRIS), designed to acquire hyperspectral images. Data courtesy of SSTL through ESA.